You may remember that a while ago I ran a contest to win a customised iPod (Matt is still using it, as far as I’m aware!). Then we had the sweet espresso cup comp (#RainyCuppaComp) and Erik was the lucky winner (yes, you are still allowed to drink beer in it, my friend!). 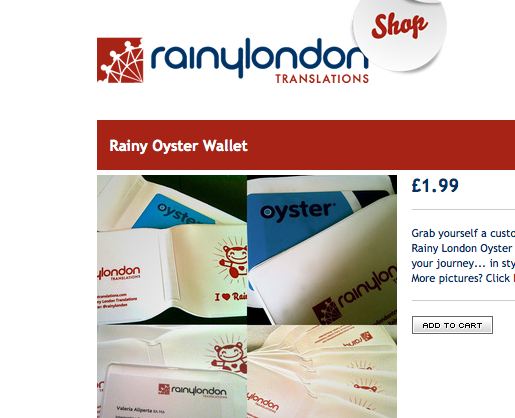 If you only joined the readership more recently, you may recall the latest of gigs, the Rainy London is my Oyster (card holder) contest. Ta-dah! 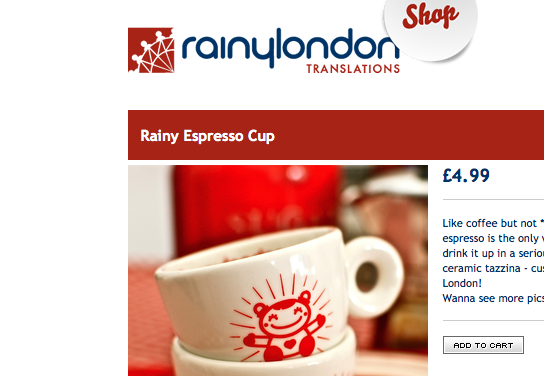 I hereby introduce you all to the new, shiny RAINY LONDON Shop! It’s hosted on a popular online site, Big Cartel. So if you want, you can now get these cuties for a decent fee – shipping is free in the UK and available for a basic fee to anywhere else. It only features 2 products for now, but stay tuned! PS. : If you *really* like me, I’d appreciate it if you could take a pic of (yourself with) the Oyster card holder somewhere nice and see it featured on our Facebook page 🙂 Click here for ideas and some examples of the brave ones who’d done it already! Hope you like this new adventure. ps. 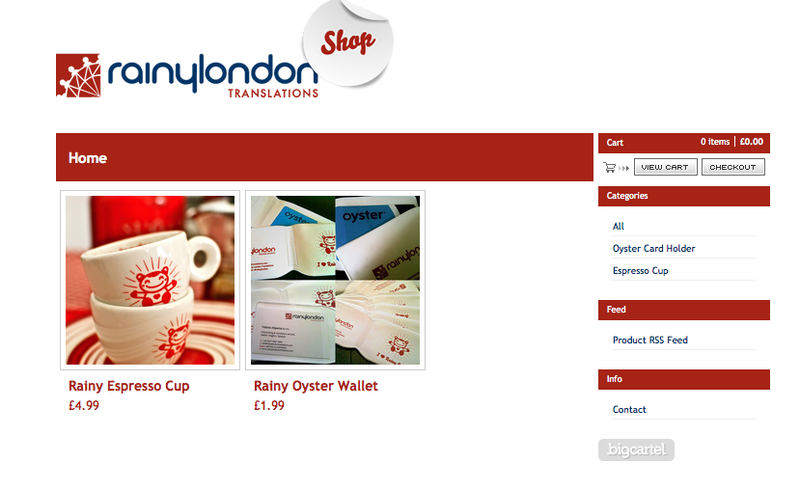 : BIG massive thank you to @artscode / @cocorino for the IT support with setting that up! Fab sei imprescindibile!